Do apartment dwellers want to entertain guests at home? Australia’s housing stock traditionally has been dominated by single detached houses. In the 2006 census data it is recorded that detached dwellings constituted 74% of all Australian homes. With continued population growth and the sensible restriction of the urban growth boundary this dominance of the detached house will continue to be reduced by the increased construction of higher density options. As Australia becomes increasingly urban it will be imperative that our new higher density building stock meets the needs and wants of the community. High quality design will be crucial to this process. Architects Atelier Red+Black have been undertaking an innovative research project looking at the state of Australia’s current building stock. The research project involves a data collection website http://www.ratemybuilding.com.au which commenced in October 2014. It is a common argument put forward that due to apartment buildings being typically located near centres of urban activity, apartment dwellers do not want or require substantial living or kitchen spaces. This argument suggests that apartment residents would instead prefer to entertain guests in restaurants, pubs, cafes or public spaces. This relatively straight forward assumption about how people want to live, is the first to be tested by the Rate My Building research project. The hypothesis tested is as follows: is being able to entertain guests at home is as important to apartment dwellers as it is to those who live in detached houses? There was sufficient data, despite the moderate sample size of 217 responses, for the independent mathematician to be highly confident that the two separate groups, house dwellers and apartment dwellers, were statistically no different in their response to this question. We can point to the diversity of the responses as an indication of it being representative of the greater population. Responses were received from postcodes in the ACT, New South Wales, Victoria, Queensland, South Australia, and Western Australia. The most common postcodes were in Victoria. Within the apartment survey, there was generally a diverse spread of apartment types in the responses both in terms of number of bedrooms and in the estimated age of the building. A limiting factor in this test however was the low number of respondents living in studio apartments. A Chi Square test was undertaken on the data which determined to a 95% confidence level that people living in houses and people living in apartments think the same way about entertaining guests in their home. Note this result may or may not apply to people living in studio apartments. More research would need to be undertaken to verify for this apartment type. Figure 1. How important to your lifestyle is being able to entertain guests in your home? This research shows that Australians want to entertain guests in their home, regardless of whether that home is a single bedroom apartment or four bedroom house. Architects, property developers and local councils need to ensure that the dwellings that they are creating are genuinely suitable for entertaining guests. 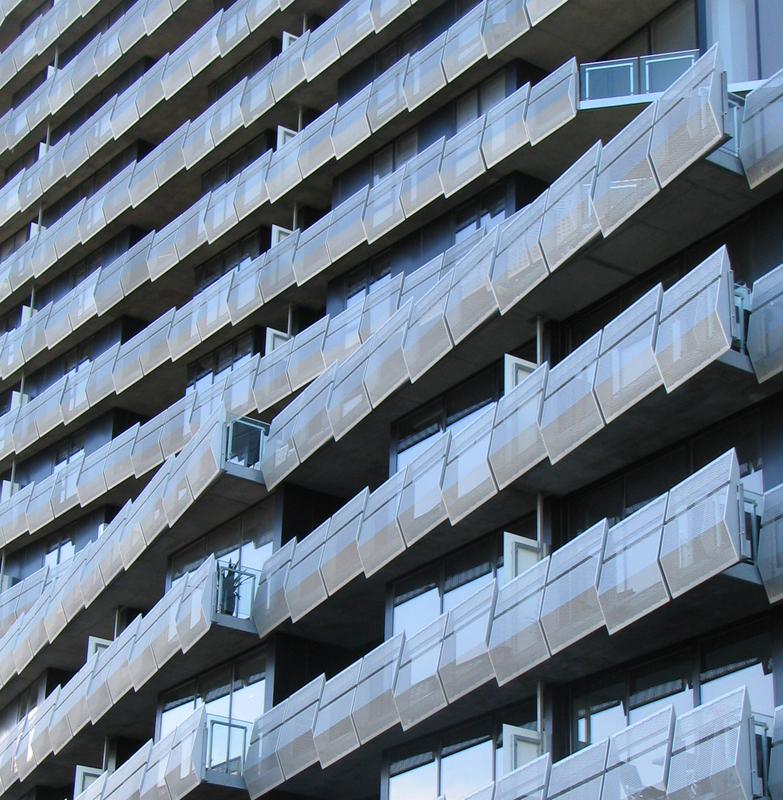 What does this mean for the design of apartment buildings in Australia? This research shows that people living within Australian apartments consider entertaining guests in their home is no less important to them than those living in detached houses. This has important ramifications for developers who commission apartments, Architects who design them and Councils who approve them. Whilst the free market may apply significant pressure on the reduction of apartment sizes, Australians will not be satisfied with apartments where the kitchen and living spaces are so small that they cannot accommodate guests. As Architects we would contend that best practice would allow for at least 6 people to occupy the living spaces within an apartment dwelling whilst also offering a communal entertaining area available for larger gatherings. This research also gives significant weight to the argument for minimum apartment standards to safeguard living standards in apartments. Commenting on the debate around minimum design Standards Australian Institute of Architects Victorian President Peter Malatt strongly reiterated the position of the AIA that apartment standards, similar to SEPP 65 NSW are needed in all juristictions. The Office of the Victorian Government Architect has been working on the minimum apartment standards for some time. This process however has been hindered by the previous governments reduction in funding and refusal to appoint a Victorian Government Architect. This apparent apathy towards the OVGA may have been removed along with the Liberal Government last November, however we are still yet to see real changes by Labor. We need minimum standards urgently and for that we need a strong and fully funded OVGA. This entry was posted in all posts, construction industry, News, Uncategorized. Bookmark the permalink. 3 Responses to Do apartment dwellers want to entertain guests at home?